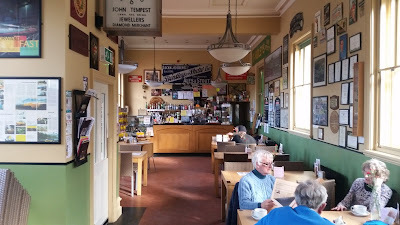 Jubilee Refreshment Rooms, Sowerby Bridge. 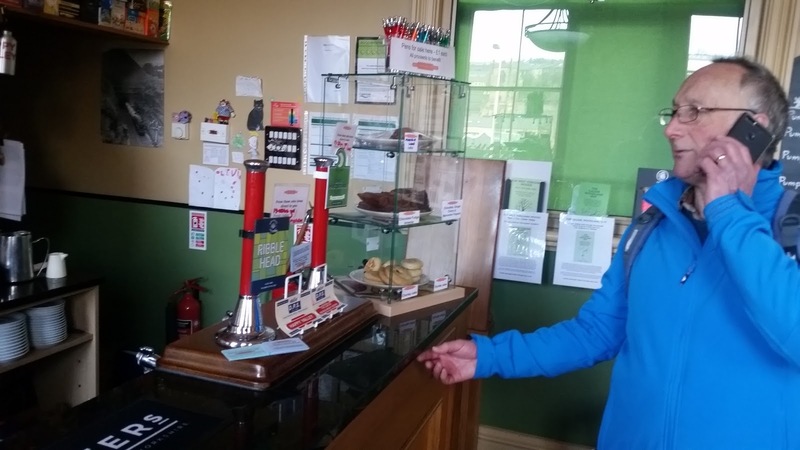 Calderdale is home to some mighty fine pubs and drinking establishments. It also has some great walks so it comes as no surprise that we managed to combine the two on a fine Wednesday in March. We started at the railway station in Todmorden and sauntered 10 miles down the Rochdale Canal to Sowerby Bridge which abounds with delightful watering holes. On this occasion we decided to try The Jubilee Refreshment Rooms on Sowerby Bridge Station as we would be heading north on the train after a session. From the centre of town we followed signs down a narrow cobbled path to the station, crossing the tracks via a dark subway and into the light to find the JRR opposite the westbound platform. First up was a pint of Pale Eagle from Todmorden Brewery. This was just what I needed ! A pale well balanced beer reminiscent of Lancashire bitters of yore. Bullseye with the first pint. That would take some beating! 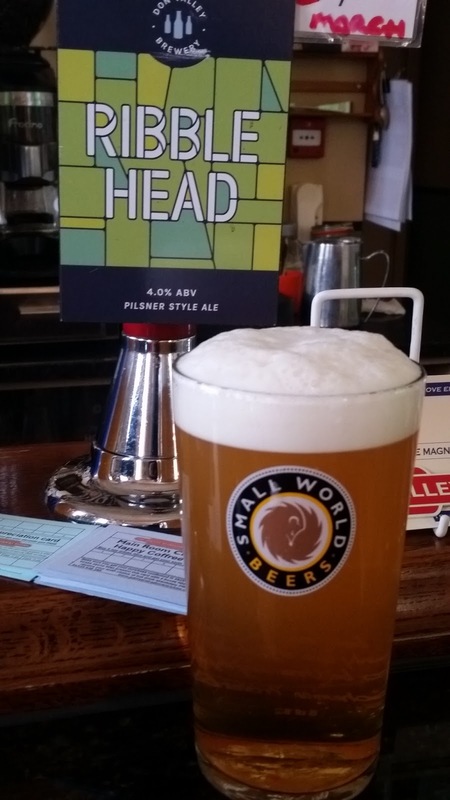 My second was a pint of Ribble Head. A perplexing pint as it came from the Don Valley Brewery and was billed as a "Pilsner-type ale". 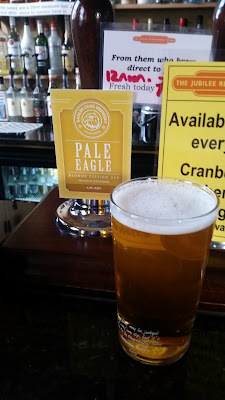 Despite the label it was a pale bitter which slipped down a treat. Another winner with my second pint. 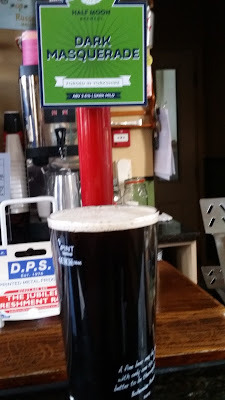 My third sample was billed as a dark mild called Dark Masquerade from the Half Moon Brewery in Ellerton, East Yorkshire. 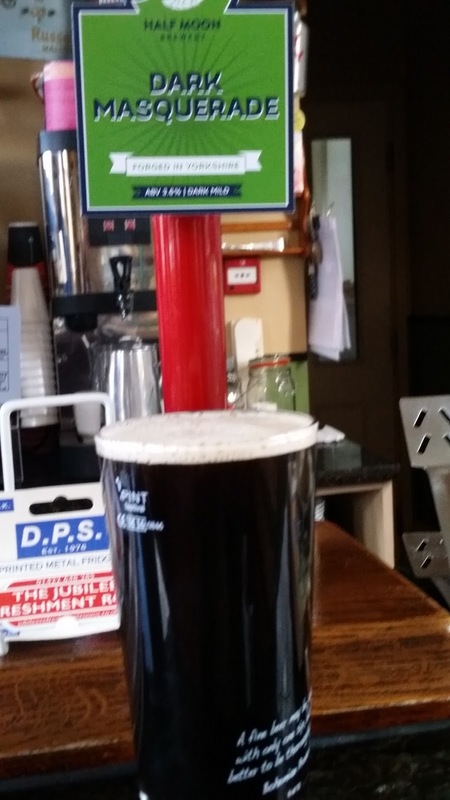 It was indeed dark and had plenty of flavour from the black malt which also gave it the colouring. 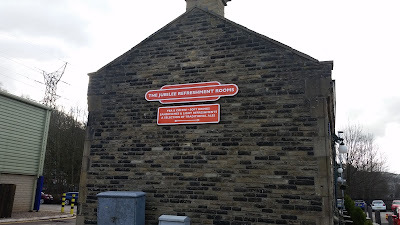 One quirky aspect of the JRR is the toilets which have a keycode which you have to obtain from the barman. If you time it right you can nip through when someone who remembers the code goes to the loo. This establishment is well worth a visit. It is warm and friendly . It also sells good interesting local beers. 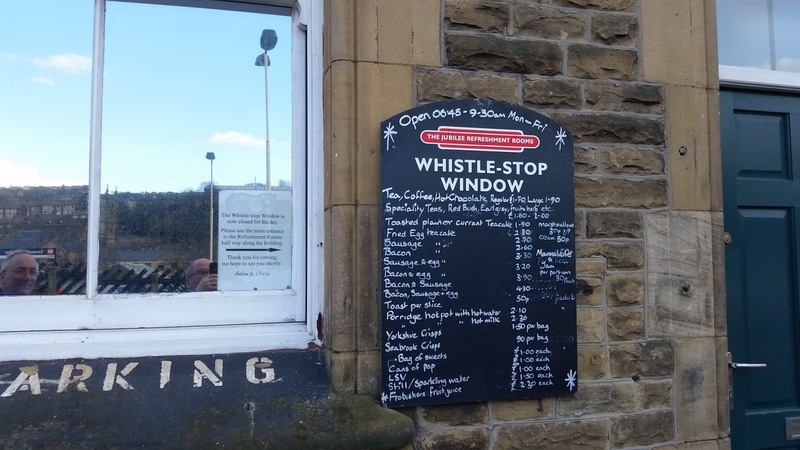 If you are in Sowerby Bridge seek it out.